Tuxedos and fancy frocks, canapés and champagne on the lawn and some of the finest operatic performances in the world – Glyndebourne Opera Festival is back for another belter of a season. Six remarkable operas furnish this year’s phenomenal programme, which promises to treat guests to the full spectrum of emotion, spectacle and sensation. Running from May to August each year, Glyndebourne Festival has been enchanting audiences since 1934, when aristocratic landowner John Christie and his wife, soprano Audrey Mildmay, founded what is now one of the most celebrated opera houses in the world. Remaining very much a family affair throughout its captivating history, his grandson Gus is the latest in a generation of Christies to spearhead the world renowned opera house. The Festival has come a long way from its early days, when it ran a modest two week season of The Marriage of Figaro and Così fan tutte. Originally built to accommodate three hundred people, the opera house has quadrupled in size, boasts two resident orchestras and has presented works from a diverse range of composers including Monteverdi, Handel, Rossini, Tchaikovsky, Janáček, Strauss, Stravinsky, Verdi and Wagner. With the Festival attracting audiences from far and wide, the majority of attendees like to make a day of the opera. Nestled in the rolling hills of the beautiful South Downs, the opera house is well situated to enjoy stunning views of the Sussex countryside – not to mention Glyndebourne’s famously exquisite grounds. 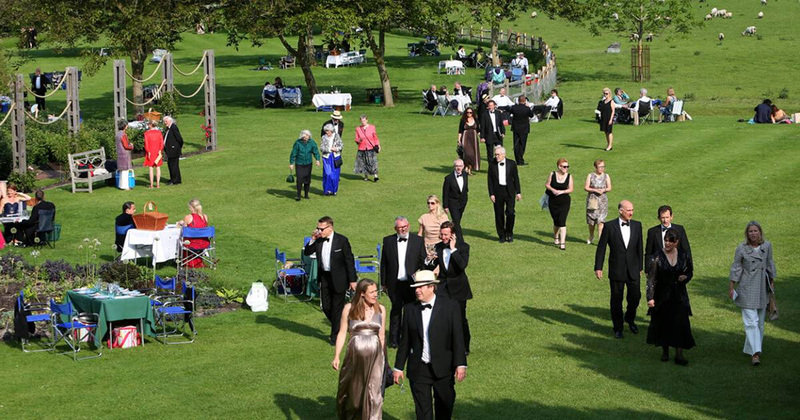 While it is globally recognised as one of the great opera houses, Glyndebourne remains a very English institution, with many guests choosing to picnic on the lawn in a timeless pre-performance tradition. The ninety minute interval also provides plenty of time for a leisurely stroll around the grounds with a glass of bubbly. Beyond the picnic rugs, tables, candles and ice buckets are a collection of quirky treasures in the house and grounds – the face of a gargoyle, an empty organ and statues used as props in various operas over the years – all testament to the founder’s eccentric personality and firmly engrained in Glyndebourne’s charm. Awash with colour, glowing with joy and speckled with darker elements of the opera, Glyndebourne’s world-class standards will be upheld in what promises to be a “vocal and visual feast” this summer. Opera Content Specialist Alexandra Coghlan said: “One of the most interesting strands running through the six operas this season is the idea of the twentieth-century opera. With Madama Butterfly premiering at Glyndebourne for the first time, this special production brings out the darker elements in the opera. Joyous, youthful and zany: a love story intertwined with politics in an era of change, Coghlan believes this opera is particularly pertinent at this moment in our history. Having caused quite a storm at the premiere, Coghlan is confident that “no-one has seen a Cesare quite like this before”. Overflowing with dark, multi-textural, orchestral sounds, this Glyndebourne favourite is “unlike anything else you’ve ever heard”. Packed full of opera’s best tunes and replete with spectacle and sensation, Saul is a “very different beast” that will appeal to both seasoned and first-time opera goers. Forecast to be this season’s dark horse, Vanessa is being described as “one of the most beautiful, lyrical, heart on sleeve scores of the twentieth century”. While the Festival gears up for its 84th year, the highly acclaimed Glyndebourne Tour is celebrating its golden anniversary. A platform for the next generation of opera stars, Tour 2018 begins with three weeks of performances at Glyndebourne, followed by visits to Canterbury, Norwich, Woking and Milton Keynes. To mark this special year, the Tour will unveil a brand new production of Massenet’s Cendrillon alongside a revival of Tom Cairns’s 2014 production of Verdi’s La traviata. Group booking opens May 14, while public booking opens 4 June. The Tour will be in Glyndebourne 12 October-3 November, Canterbury 6-10 November, Norwich 13-17 November, Woking 20-24 November and Milton Keynes 27 November-1 December. Formal evening dress is recommended for the summer Festival, whereas the Tour tends to be more of a smart casual affair. 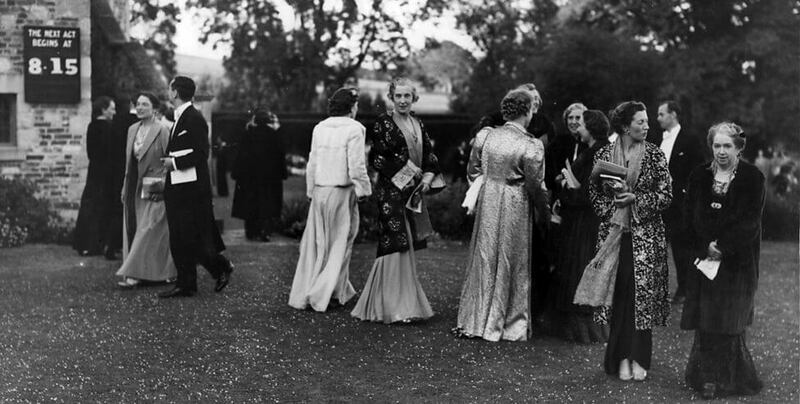 The custom of wearing formal evening attire emanated from John Christie, who maintained it was a sign of respect for the performers. However, British weather being what it is, it is advisable to bring a warm layer! Turn Glyndebourne into the event of the summer and observe the traditional nature of the occasion by booking a luxury, old fashioned chauffeur service with Mercedes Chauffeur Hire. 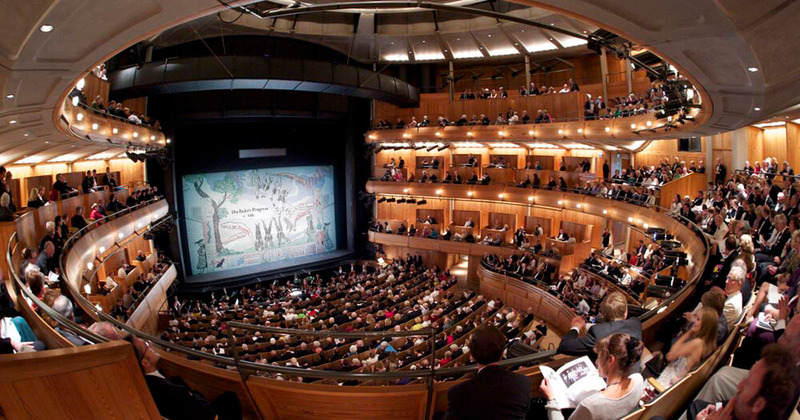 Ever since the new and improved opera house opened in 1994, Mercedes Chauffeur Hire has been providing exceptional Glyndebourne Opera chauffeur service. We are proud to have transported thousands of satisfied opera enthusiasts from London and beyond to Glyndebourne’s illustrious grounds and celebrated opera house, and this year is no exception! We cater for all party sizes, so no matter how small or large your group is, rest assured we have the perfect vehicle for you in our fleet of immaculate chauffeur driven cars. With Mercedes Benz’s flagship saloons providing the ultimate in chauffeur driven luxury, our Mercedes S Class limousines are perfect for up to four passengers seeking a stylish and comfortable way to travel. Our fleet of Range Rover Vogue and Range Rover Autobiography long wheel base SUV models are equally luxurious modes of elite and exquisitely stylish transport. Parties with up to seven passengers may wish to consider our Mercedes V Class luxury people carrier. Complete with a social seating arrangement allowing for smooth and effortless conversation, these elegant vehicles present the opportunity to spend some quality time together before and after your day at the opera. For larger groups, we have a range of coaches, from executive mini coaches seating up to sixteen passengers to full-size coaches which seat up to sixty people. Furnished with a range of luxury and executive gadgets and accessories, including leather seats, tables, DVD screens and tea and coffee making facilities, our coaches are designed to make your journey to and from the opera as comfortable as possible. Covering all of the capital’s hotels, airports and train stations, we also cater to clients who will be attending Glyndebourne Festival 2018 from far-flung parts of the UK, and from overseas. For clients arriving into any of the London airports on the day of the opera, your dedicated London chauffeur will meet you at the arrivals hall, transfer you to your hotel and wait for you to get ready before whisking you away to the charming grounds of Glyndebourne. Whatever your requirements, Mercedes Chauffeur Hire is highly accomplished in the provision of bespoke chauffeur experiences. Not only will you arrive feeling like royalty, but your chauffeur will also be happy to help set up your picnic spot and pop the champagne as you settle into the grounds and drink up the dazzling views. Contact us today to find out more and make an enquiry – we’d love to hear from you!